For over 30 years, Austin Ventures has consistently and successfully partnered with talented executives to grow middle market companies in Texas. 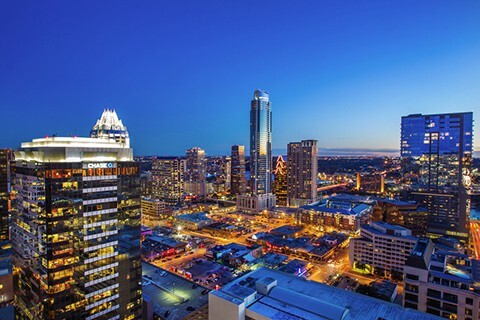 Austin Ventures provides middle market companies with a growth-oriented investment approach, a highly experienced strategic capital partner, and an unparalleled network of business relationships in Texas and beyond. Delta Rigging & Tools, Inc. is one of the largest US providers for both sales and rental of rigging and lifting products, tools, and services. Delta offers a complete portfolio of lifting solutions, including hoists, winches, wire rope, wire and synthetic slings, accessory parts, and hardware as well as testing, inspection, and field service, and rental of lifting equipment and tools. ENTACT was established in 1991 in Dallas, Texas and founded on the belief that regulatory compliance, technical excellence, safe field performance, and sound business practices are all necessary to deliver outstanding projects. ENTACT is the largest national provider of environmental remediation services to the private industry and our twenty year growth has been achieved through quality performance and organic expansion. Our goal is to be the leading global provider of innovative, cost-effective, safe and sustainable environmental solutions. Sterling, headquartered in San Antonio, Texas, is a leading supplier of baked goods, as well as a provider of gourmet bakery items to the food service and retail industries. Sterling's products include a wide variety of specialty and gourmet baked products such as brownies, cakes, cookies, snack breads, soft pretzels, muffins, scones, pizza crusts and biscuits. Sterling is the largest supplier of shelf stable bakery products to the military, and also provides products to the K - 12 educational market, weight management industry and other specialty commercial markets. Univar is one of the world's leading distributors of industrial and specialty chemicals. Univar represents over 3,500 chemical producers and provides its customer base, made up of 115,000 customers, with a full portfolio of products. Orion Marion Group offers a comprehensive range of marine services from a single source. Orion Construction, King Fisher Marine Service, and Misener Marine Construction are integrated into one organization to meet a broad range of design, construction, repair, maintenance, and environmental needs on, over, and under the water; including marine transportation facilities, bridges, industrial facilities, waterway systems, and pipelines. Southern Star Concrete, Inc is a focused concrete supplier serving the major metropolitan markets of Dallas-Fort Worth, Houston and Little Rock. Southern Star is the largest ready-mixed concrete supplier in Texas and Arkansas, and also the largest independent ready-mix company in the United States.